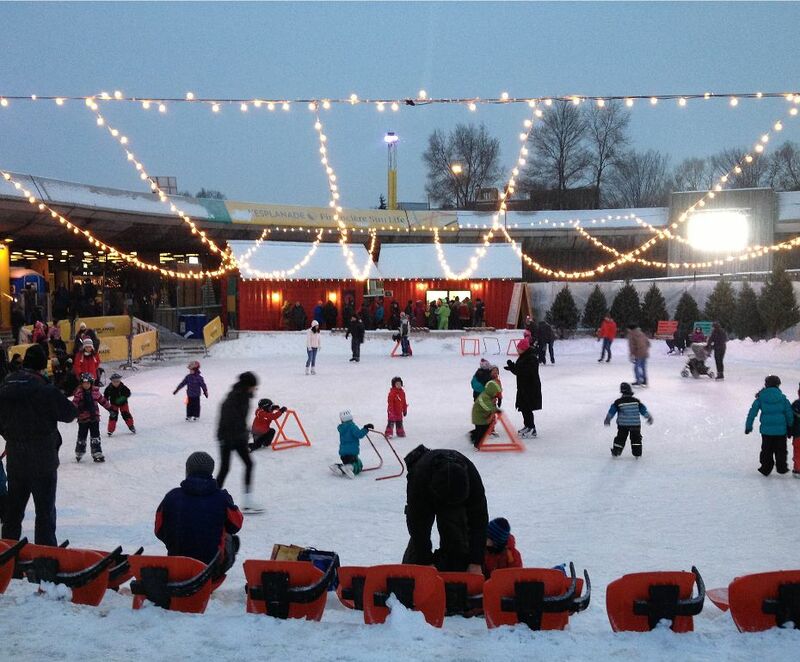 Out of all of Montreal's best skating rinks, the Olympic Park skating rink is possibly the most desirable skating destination for families, if only for its location in the Olympic Village and its close proximity to major city attractions like the Montreal Botanical Garden, the Insectarium, the Biodome AND the Planetarium. You could spend the entire day in the area. Or you could simply call it an afternoon and enjoy the Olympic Park's Winter Village, which of course includes access to the skating rink during the 2017-2018 winter season. Outdoor skating season usually runs mid-December to mid-March but it varies every year since the season is contingent on weather conditions. The season opens on December 15, 2017 and is expected to run through March 2018, weather-permitting. Even though the Olympic Park skating rink is equipped with a refrigerated rink, an artificial cooling system that ensures the skating surface temperature stays in a subzero range even on warm days that would usually lead to thawing, it's still a smart idea to call the Olympic Park at (514) 252-4141 or 1-877-997-0919 and inquire about the state of the rink's surface ahead of time. Parking: $18 a day ($20 a day during special events at the Olympic Stadium), street parking (regular meter rates may apply). Thursday and Friday: 4 p.m. to 9 p.m.
Saturday and Sunday: 10 a.m. to 9 p.m.
*Note that opening hours, admission and rental fees are subject to change without notice.